For pasta enthusiasts, there’s a special spot reserved for combinations that bring together the holy trinity of all things good – cheese, meat and carbs. It is little wonder that ragù remains one of the most simple yet extremely popular sauces from the cuisine. 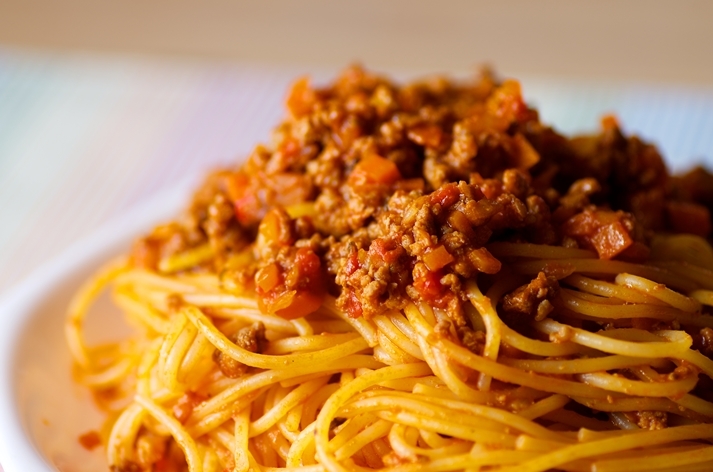 For the uninitiated, ragù is a meat based sauce, that involves minced, chopped or ground meat cooked with sauteed veggies in a liquid like water, broth, tomato, stock, milk, wine, usually in a combination. It not only enhances the flavour of the dish but also lends body and texture to the sauce. Given the amount of meat that goes into a batch of this sauce, it may not always be the healthiest choice if you’re trying to cut down on your meat intake. For those watching their weight and the vegetarians, we’ve found a simple, healthy recipe that packs in the goodness of legumes with mushrooms, without really compromising on the flavour or satiety. In a large vessel, heat oil over medium-high heat. Add in the mushroom, garlic, carrot, bell peppers and onion. Cook for 15 minutes, stirring in between, till veggies turn a rich brown and soften. Add in the wine and cook for another minute, while stirring continuously. Scrape any browned veggies from the bottom of the pan using a wooden spoon. Add in bay leaf, crushed tomatoes, water, lentils, oregano, salt, black pepper and red pepper flakes. Heat till the sauce begins to boil, then turn down the head to a medium-low. Allow to simmer for about 25 minutes, till lentils soften. Continue stirring in between. Add more water if the consistency is too thick. Remove the bay leaf and stir in the chopped basil. Prepare spaghetti as instructed on the packaging. Spoon ragù over spaghetti, garnish with some parsely (optional) and serve with grated Parmesan cheese.